There is something forgotten and faded about sage, its musty nature reminiscent of somewhere that’s been shut up for too long, its dusty-green hue like something dulled by too much sunlight. Musty and dusty, lemon and camphour tinged, soft as moleskin yet rugged as my removal man, sage is one of my favourite herbs. It had only been shuttered up for three months, but our new flat had a sage-like feel to it before I flung open the wooden shutters and windows on Saturday. I wonder if that was the reason I bought the plant? 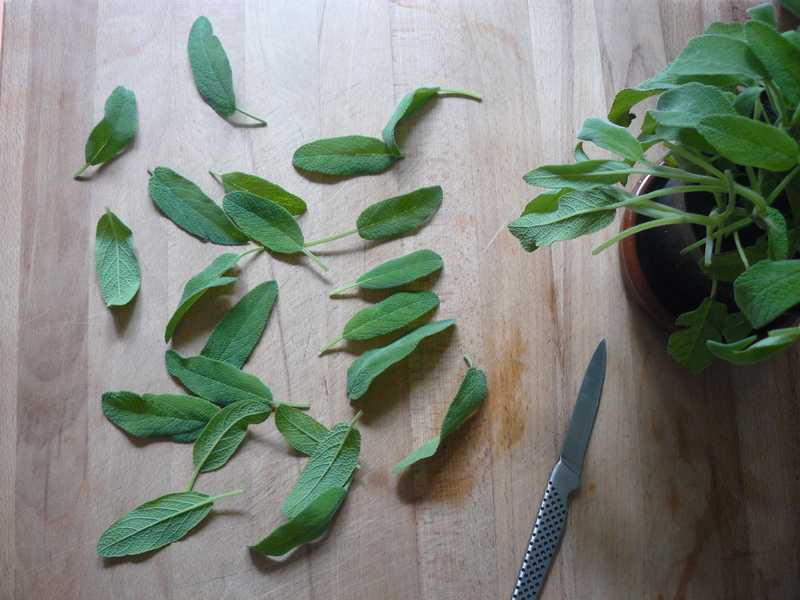 An unconscious herbal response to our new home! 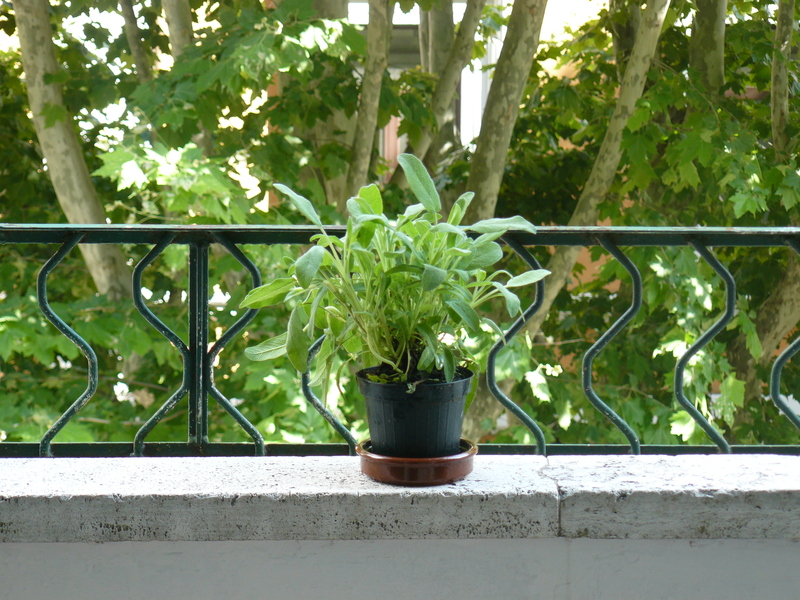 It’s the first of many pots that will eventually line our long, narrow balcony, providing me with kitchen herbs and Luca plenty of leaf-tugging and pot-pulling temptation.